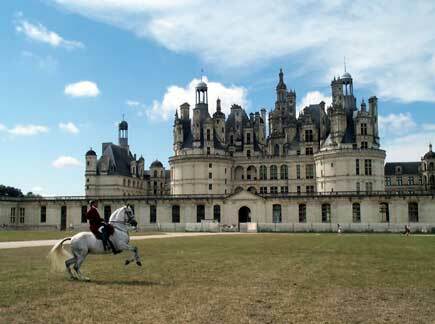 The Château de Chambord springs up in the French countryside like a magical mirage. François I begun the transformation of a hunting lodge into a magnificent work of architecture around 1519. It is said that some 1,800 workmen labored on the building for 15 years. The central Great Staircase dominates the interior.